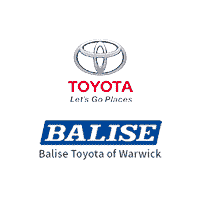 At Balise Toyota of Warwick, we’re proud to have a wide selection of new Toyota models for drivers near Warwick, Providence, and Pawtucket to choose from. Whether you’re searching for a fuel-efficient sedan, a robust pickup truck, or a spacious SUV, you’ll find it right here in our inventory. From the popular Toyota Corolla to the reliable Toyota Tundra, we know our new car lineup has something that will exceed all your expectations. Our Balise consultants will walk you through all the customizable features and upgrades your favorite models can be equipped with, so that you can create something that’s truly yours. Most of our models already come standard with must-have safety features like Toyota Safety Sense™. Keep in mind, if you can’t find the specific RAV4 or Avalon you’re looking for, our team will work hard to help you find it. Car shopping doesn’t need to be a stressful process – and you will have a no-hassle experience when you choose to shop with us. So please take this time to explore our new vehicle inventory online. Once you find a Toyota model that grabs your attention, be sure to contact us as soon as possible to set up a test drive. When you’re ready to stop by and see us in person, we’re conveniently located near the North Kingstown, Coventry and Cranston communities. As always, we can’t wait to assist you with your new Toyota purchase.